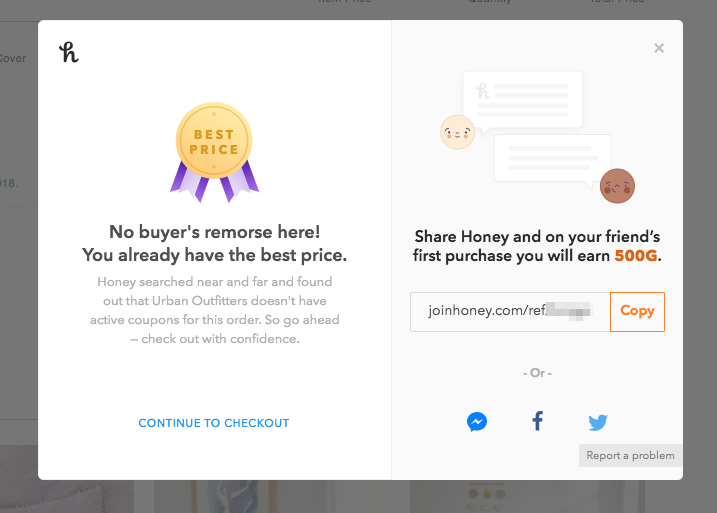 Once you add Honey to your browser, it will automatically try all available promo codes on over 30,000 shopping sites. Sometimes there are no coupon codes available. But don't worry, Honey always lets you know that you already have the best price! Note: these features are only available on U.S.-based sites at this time, but we're expanding internationally soon! Not sure if Honey is installed and working on your browser? We have you covered.